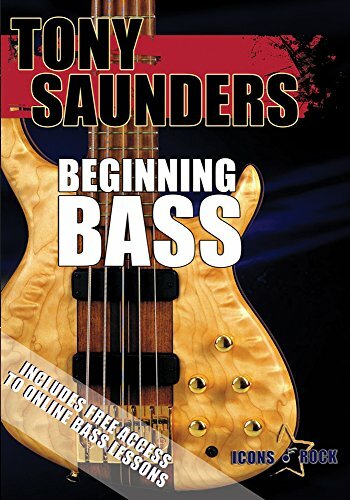 This book takes the beginning bassist from the basics of buying their first bass through the basic fundamentals of bass guitar techniques. It is written in a step-by-step manner that allows you to advance at your own pace. Tablature, photos, diagrams and drawings make new concepts or techniques easy to understand. Written by an outstanding performer and educator, this is the beginners chance to study with the best. 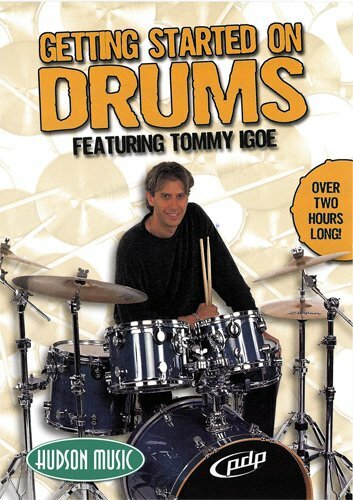 Featuring world-renowned drummer, solo artist, author and educator, Tommy Igoe, Getting Started On Drums is an entertaining and educational way for beginning drummers to learn the right way to play right from the start. Covers all the concepts a new drummer needs, such as Setting Up and Unpacking your new drums, The Bass Drum, The Bass Drum Pedal, Rack Tom-Toms, Floor Tom-Toms, The Snare Drum, The Hi-Hat, The Power Square, Cymbals and Stands, The final Tune-Up, Start Playing! Also covers how to choose, hold and use your sticks, How to control your pedals, a Basic Coordination lesson, Three grooves you can play right now!, Four cool drum fills, Three playalong songs you can jam with, Tips on your next steps, and Tommy playing along to a tune. Beginning Rock Bass Video Package. Ricki Phillips, former bassist with the Babys and Bad English, is a noted session player, writer, and producer. 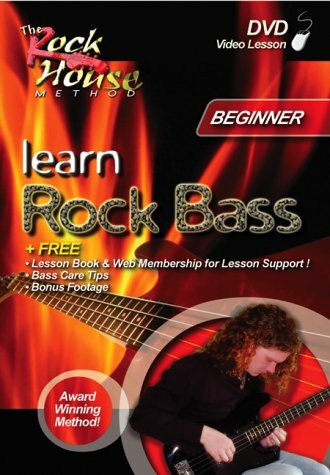 He uses his experience to get beginners started in learning how to play bass guitar with their own rock group. 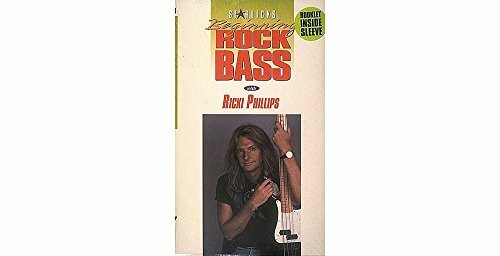 Starting with an in-depth overview of the electric bass, Ricki covers all the vitals of the instrument and its role in the band with simple and easy-to-follow discussion and demonstration. From choosing an amp to ear training, to chording, Ricki's exercises will help beginners learn what they need to know to start jamming. Beginning with the basics, the program starts you at the roots of rock and quickly has you playing essential techniques such as scales, octaves, alternating and muting and more! Learn key components of the blues, timing and how to hold the beat with ease. 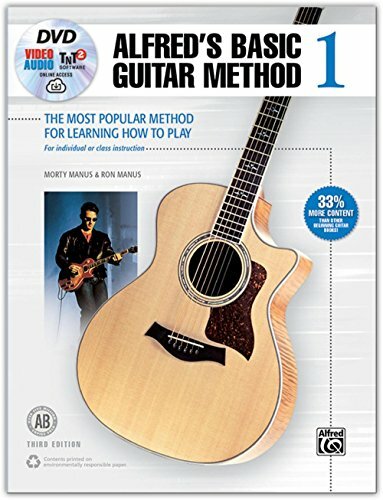 Basic Guitar Method 1, 3rd Edition Book, DVD, Online Audio, Video and Software Recognized for over 50 years as the best-paced and most comprehensive guitar method available, Alfred's Basic Guitar Method, Book 1 has introduced over 3 million beginners to the joy of playing guitar. This updated and expanded edition features a new layout, making it easier to read and learn. Now included are blues, country, folk, jazz, and rock styles, plus more pop songs! 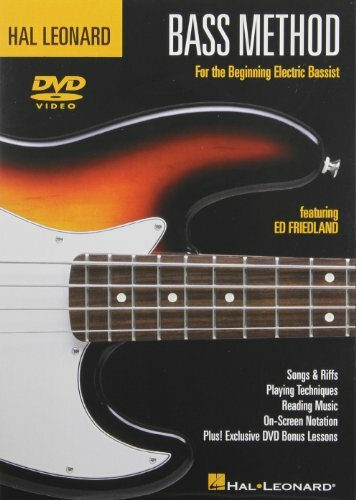 A DVD with iPod-compatible video has been added for the visual learner, and correlating theory, chord, and pop books ensure that you'll get everything you need from one complete method. Learning to play has never been easier or more fun than with Alfred's Basic Guitar Method---the first and best choice for today's beginning guitar students. 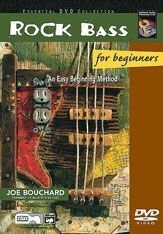 Book 1 can be used for acoustic or electric guitar and covers how to hold your guitar, tuning, the basics of reading music, the notes on all six strings, chords, scales, songs, bass-chord accompaniments, and duets. Titles: Singin' in the Rain * Take Me Home Country Roads * Over the Rainbow * Annie's Song * When the Saints Go Marching In. Compare prices on Beginning Rock Bass Video at Shopsimal.com – use promo codes and coupons for best offers and deals. We work hard to get you amazing deals and collect all avail hot offers online and represent it in one place for the customers. Now our visitors can leverage benefits of big brands and heavy discounts available for that day and for famous brands.